Very mild random tremors in a saturated soil are not uncommon. Mild earthquakes, nearby piling, and the passage of underground trains all lead to vibrations in a manner that cannot be exactly predicted. High pore pressures and low effective stresses in cohesionless soil can lead to soil liquefaction and complete loss of bearing capacity of the soil. As long as the saturated sub-surface water flow is Darcian, the governing partial differential equation is elliptic in nature at all points in the flow domain. While analytical methods can be used in limited cases, numerical methods are universally available to find out the velocity components and pressure at all points in the flow domain. Tremors disrupt the steady-state flow of saturated sub-surface water. Velocity and pressure patterns vary in a random way. The possibility of saturated sub-surface water pressure mounting followed by soil liquefaction arises. 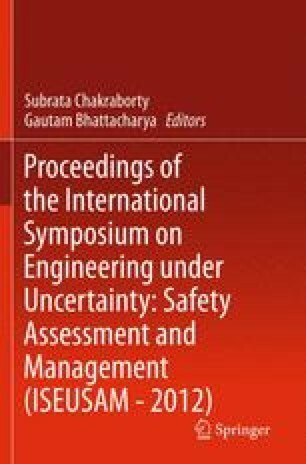 In this chapter, canonical equations related to the finite element method have been considered, and the problem has been analysed.